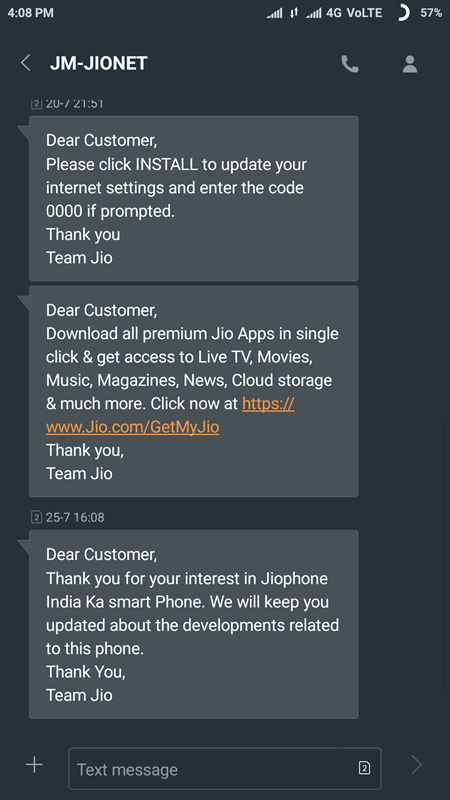 Reliance Jio managed to amaze us again with their another great offering. This time instead of providing better telecom plans they are offering a whole phone which supports 4G Internet, VoLTE Calling at the price of Rs. 0. 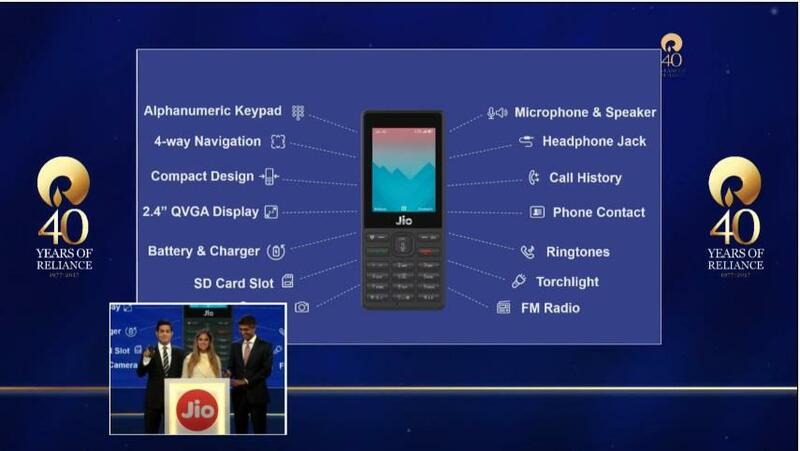 JioPhone (also called as Jio Intelligent Phone) will come with Unlimited Voice, Data, and SMS. Customers will only have to recharge with their desired Jio Internet plans to start their connection. It will come with a 2.4-inch display, an alphanumeric keypad, torch light, FM radio and other essential functionalities as well. Apart from all these basic features you also get a voice command support which is said to support 22 Indian Languages. For women safety, Jio has installed a panic button on their device as well. JioPhone will also come with NFC support for Digital Payments in Malls or any other outlet accepting digital payment. Looking into Entertainment section, then in the keynote, it was clear that you will be able to use Jio Music application as the main application from which you will be able to access all songs available over the app. It is mentioned that this phone doesn't support Whatsapp as of now because Whatsapp drew its Java and Symbian support last year. But Facebook and Browser are built in and work flawlessly. You also get a 4-way Navigation with this phone which will be a great help in India because it is said to come with updated Maps which will provide even more accurate results. 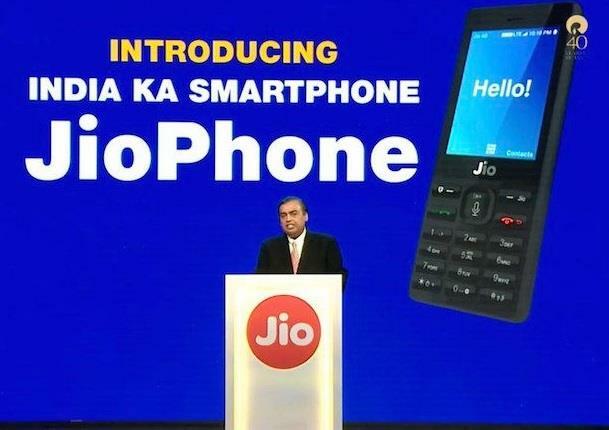 JioPhone customers will also be able to enjoy another great service with an accessory called as Jio Phone TV-Cable with which they will be able to connect their phone to their Display devices. If you want to enjoy this service, then you will have to recharge with Rs. 309 per month as of now. As per statistics from Reliance, there are around 70 Crores in India from which only 50 Crores phone support Internet support. So they wanted to create a feature phone with which people can get internet access and help them use the internet. The price of this phone is Rs. 0, you just have to pay a security fee of Rs. 1,500 which will be refundable after 3 Years or when you give back the phone to the company. Official Sale of this phone is expected to start from September whereas Beta units will start rolling from August 15 to beta testers. It is rumoured that Jio Official Stores will also get these units soon for customer review. If you are keen to buy this phone, then you can easily book it through their official website by following the procedure given below. 2. In the Big Banner section, when you will scroll between all three you will see a flag like this. 3. Click on 'Keep Me Posted', and you will be redirected to a registration form same as the image below. 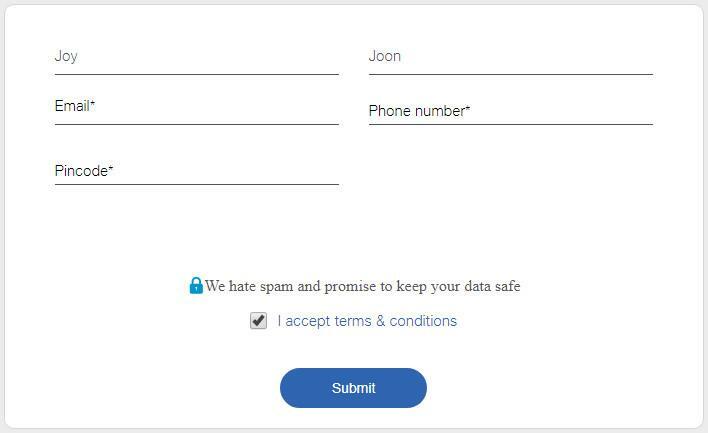 Fill these form and press 'Submit'. You will get a confirmation message on your phone which will somewhat look like image below. After all this you have successfully registered for the JioPhone and Jio Customer Care executives will contact you as soon your phone gets allotted. For offline booking, you will have to visit Jio outlet and they will do it for you.